Lock in a great price for Ellenborough Park - rated 8.9 by recent guests. Second time here. Breakfast is amazing! Jonathan again was very kind, he has the best tips for the Cotswolds! The gardens are beautiful and the fact that they have an outdoor pool it’s super cool! Also, big thank you to have a property like this one and accept dogs! Not many do and all the doggies were very nice. We stayed with our pug again and had a beautiful room. Very nice to let us travel to great places with our fur babies! Gorgeous grounds, very comfortable and well-appointed rooms, luxurious bathrooms with heated tile floors and spacious tubs, and incredibly friendly and helpful staff! The hotel was lovely, in a great location, staff were very helpful and friendly. Room was perfect. 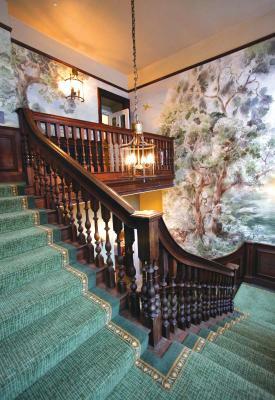 Very knowledgeable and helpful staff, beautiful buildings with lovely decor throughout. I also loved that the outdoor pool is heated and open all year round. Lovely hotel & grounds - great for walking with my Yorkie who was made very welcome by all the lovely staff! Room surpassed expectations with amazing bathroom & had lots of nice little extras (I.e. dog bowls, crate & bed). Food in The Horse Box was delicious. Would happily recommend to friends. Food superb. Service exceptional. Lovely warm swimming pool, valet parking. Good little gym. Set in Cotswold countryside, Ellenborough Park is a magnificent English country estate with a luxury spa, fine dining and beautiful grounds. The hotel is situated a 10-minute drive from Cheltenham town centre. 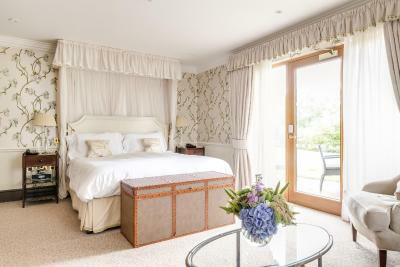 The spacious bedrooms at Ellenborough Park have luxury bathrooms with fluffy bathrobes and locally-produced toiletries. 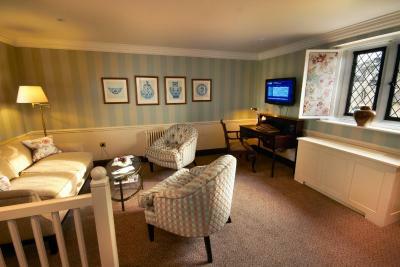 Rooms also feature flat-screen TVs, iPod docks and free Wi-Fi access, and many have garden views. Ellenborough Park has an Indian-themed spa, which features mood showers and a juice bar. Guests can relax in the sauna or hydrotherapy pool, and there is also an outdoor heated pool and fitness suite. 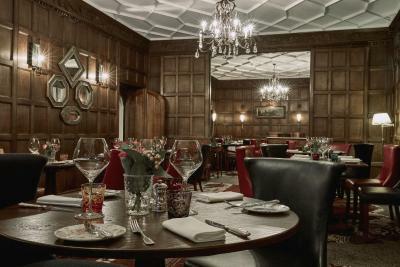 The Restaurant serves modern British cuisine and fine wines. The Horse Box serves a more casual menu in comfortable surroundings. Ellenborough Park is situated adjacent to Cheltenham Racecourse, and has free on-site parking. Historical Tewkesbury can be reached in a 20-minute drive and the M5 motorway is just 5 miles away. Ellenborough Park has been welcoming Booking.com guests since 21 Mar 2011. When would you like to stay at Ellenborough Park? 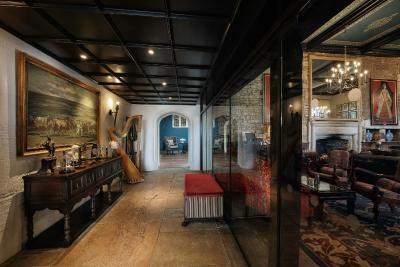 Large, luxury suites with original features and spacious living areas. This room features an en suite bathroom, a TV and tea/coffee making facilities. Very large rooms with luxury bathrooms and scenic views. Some units also enjoy a private patio. This room features a large flat-screen TV, free Wi-Fi, and a minibar with fresh milk. 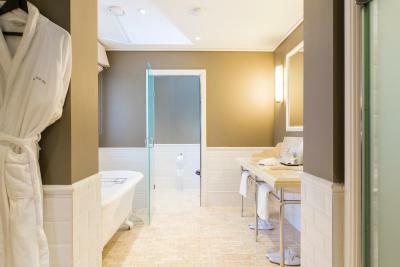 The en suite bathroom has underfloor heating and loudspeakers linked to the TV, along with Penhaligons Racquets Formula toiletries. Most rooms boast a roll-top bath and a walk-in shower. This twin room has a minibar, iPod dock and bathrobe. 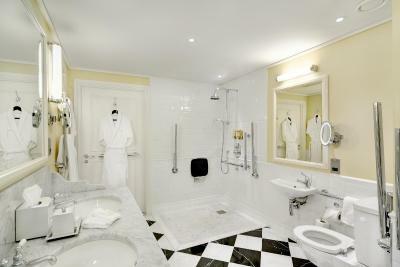 This double room features air conditioning, view and bathrobe. This family room has a iPod dock, air conditioning and sofa. All suites at Ellenborough Park are named after famous race horses who have won races at Cheltenham Racecourse. House rules Ellenborough Park takes special requests - add in the next step! Ellenborough Park accepts these cards and reserves the right to temporarily hold an amount prior to arrival. All single and double rooms are located across all four locations at Ellenborough Park. Only the Open Plan Suites are located in the main house. 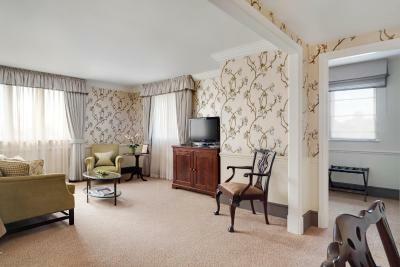 Please note that only one Classic room can accommodate children up to 12 years of age. Guests are advised to contact the property for further information. Staff were excellent, room spacious and bed comfortable, food in restaurant excellent. Food excellent, staff very friendly and helpful. The only complaint, we were expecting the spa area to be better. For a hotel to advertise itself as a spa hotel we thought there would be more to it. There is nothing not to like !!! Can't think of anything they could do to improve it! Self service breakfast. For a 5 star hotel supposedly it was awful. The food was cold and we expected a hot freshly cooked English breakfast. Not good.